2007 Team is a GO! 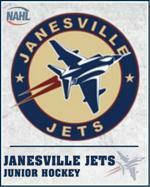 Jr Jets is adding a 2007 Team this Spring! If interested playing for 2007 team please fill out 2016 Tryout Registration. (PLAYERS THAT ALREADY TRIED OUT FOR 06 TEAM DO NOT NEED TO RE-REGISTER, PLEASE EMAIL TO CONFIRM PARTICIPATION IN 07 TRYOUT.